Lead: banana (4mm) red & black to crocodile clips. 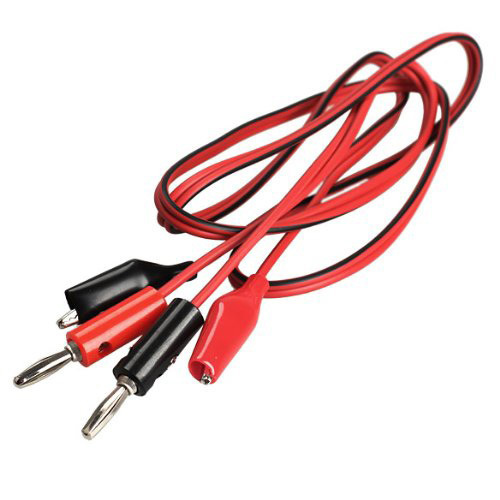 Two ends of this twin cable plug directly into the gPiO box and the other two have crocodile clips that connect directly to almost any component. Saves having to make up connection leads. Can use for input and output connections. Note that this lead is included in the component pack.